Termoidraulica Cecconato, an Arcade company, in the province of Treviso, specialises in the construction of civil heating and plumbing systems, providing customers with complete ‘turnkey’ solutions, carrying out work from the study and design phases, right up to the testing, management and maintenance. Our company deals with installing heating and plumbing systems in the industrial sector, taking great care in every aspect of the installations, from design to the execution of the work, up to the final testing. Each system is guaranteed and certified, making them safe and, above all, high quality. 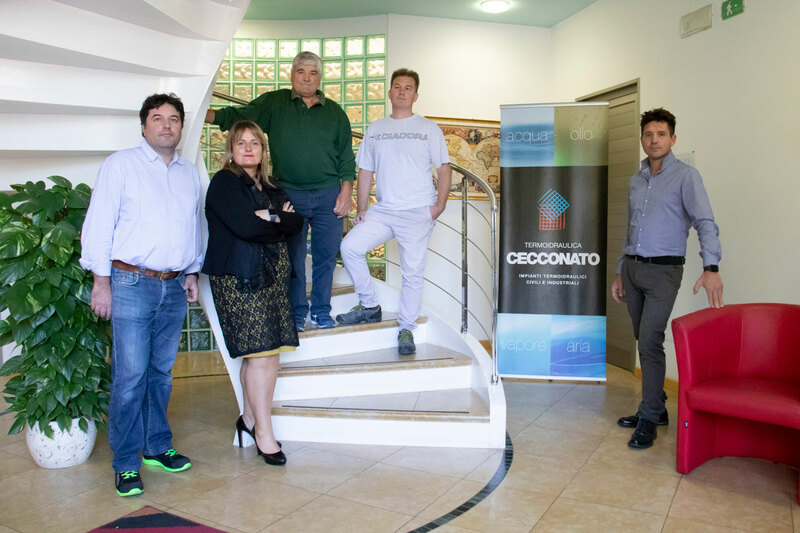 CECCONATO designs and manufactures systems for the refrigeration of must, fruit juices and mashed and liquid foods in general which require storage or temperature control. The systems are designed according to customer requirements, offering a careful technical and logistic study. Termoidraulica Cecconato has accomplished considerable work over the years, in the field of civil and industrial systems design: in this section you can consult our references, and gain an insight into the work carried out for various clients, both nationally and internationally. Termoidraulica F.lli Cecconato will install your new, third generation Nest Thermostat. The Nest thermostat maintains the temperature you prefer, switches off when you’re out and can be easily adjusted from a distance using your smartphone. Now you can reduce energy consumption with no sacrifice to your comfort.